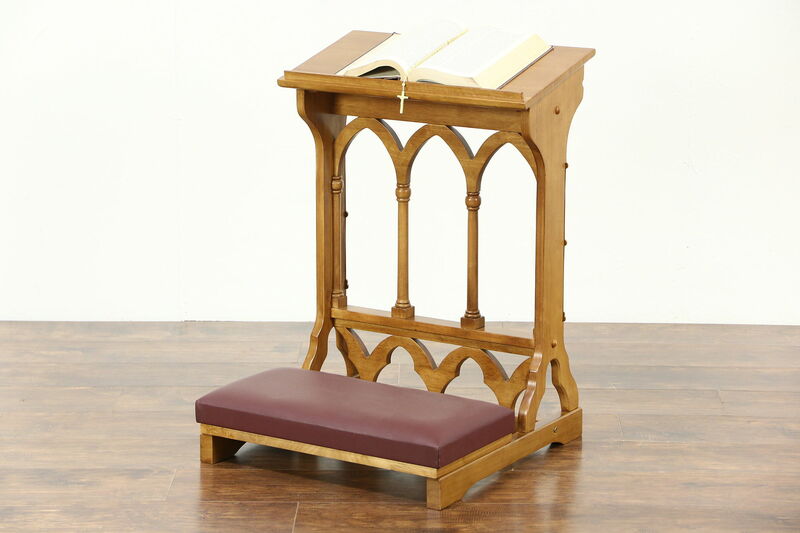 A kneeler or "Prie Dieu" from about 15 years ago is signed "Robert Smith, Made in Thailand." The finish is in excellent condition on Gothic carved mahogany. The cushion is faux leather on this vintage furniture. Measurements are 22" wide, 23" deep and 31" tall.